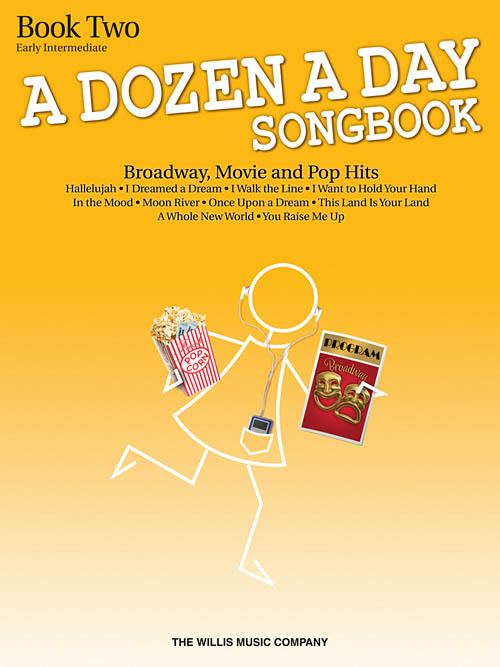 The A Dozen a Day Songbook series contains wonderful Broadway, movie and pop hits that may be used as companion pieces to the memorable technique exercises in the A Dozen a Day series. Also suitable as supplements for ANY method! Songs in Book 2: Hallelujah • I Dreamed a Dream • I Walk the Line • I Want to Hold Your Hand • In the Mood • Moon River • Once Upon a Dream • This Land Is Your Land • A Whole New World • You Raise Me Up.